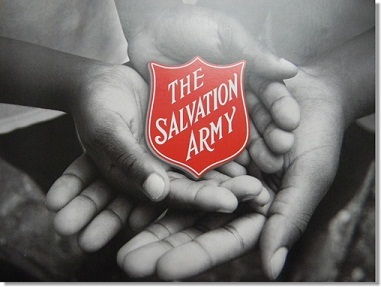 Liability: The Salvation Army Housing Ministry, its officers, employees, agents and volunteers will not be held liable for any misleading ads that may appear on our housing list. All ads are taken from the websites listed below. Should you suspect that an ad is fraudulent, contact your local police department. If you have questions or concerns about the Residential Tenancies ACT (RTA), please contact Niagara North Community Legal Assistance at (905) 682-6635 or the Landlord and Tenant Board at 1-888-332-3234. Thanks for pointing that out. WP doesn’t seem to want to include the link that is there. Not sure why – still working on figuring it all out. You can still access the listings by going directly to the post OR by clicking on the “Niagara Housing Listings” in the top navigation menu. Thanks for visiting the site! Donna I have sent you an email in response to your question. Please do not hesitate to contact me at the contact information listed in the email. Desperately looking for a place for March first were a young responsible couple looking for a 1 bedroom apartment in Welland have to move . Landlord is moving also . We’re still in school and no one wants to rent to us because we’re to young. Please don’t judge us because of other young people don’t know how to behave. We’re quite and just want a good future. Please call 289 696 3485 ask for Alexis or Jesse references are available to whoever needs them. Were looking for a 1 bedroom apartment for March first. Must move our landlord is moving to Durham to help her mom. My spouse and I are separating..he is 51 and has been looking for work for 6 months and has been unable to find anyone that will hire him. He has to move and he says that he was told he doesnt qualify for OW until he is homeless. I have to move and he isnt moving with me so he will be homeless soon but he says that he has been told there is no help for him until he is on the street and the shelters are full. Is there anybody that has information or help. I don’t want him to be homeless because our little girl will be so upset but I can’t financially do anything for him and he has no money on his own at all right now without a job. He desperately needs help starting over again. He says he has called a number of organizations but I figured I’d give this site a try. Any help or information would be appreciated. I’m in need of a 1 bdrm apartment, cat friendly.. at a reasonable price. . I’m in a bad situation and need to move fairly quickly. I believe that you have been in contact with one of the Niagara Mobile Outreach Workers. Please feel free to contact us if this is not correct.